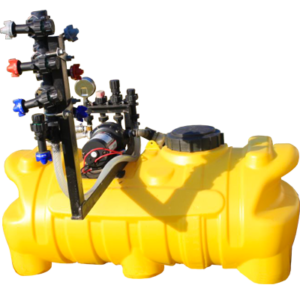 Wilger manufacturers a line of boomless sprayer components that can provide variable sprayer rates and swath widths for any application. Swath or spray distance can be changed by adjusting pressure sprayed as well as adjusting the spray direction. Wilger provides swath width charts ot achieve ideal swaths/coverage. 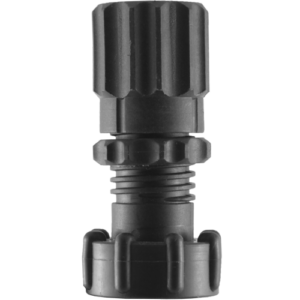 Boomless sprayers use Combo-Jet® tip-caps to set the flow rates, spray tips can be simply changed or turned off to have infinitely variable flow combinations. Since boomless sprayers typically may have a wide range od speeds, having the ability to vary the flow rate becomes paramount to having a good application. 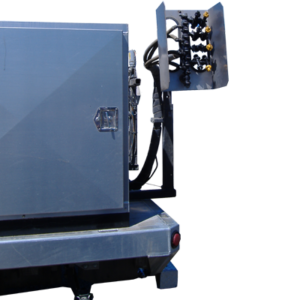 Boomless manifolds are modular and use very little footprint, so tehy can build the most versatile sprayers with the least amount of space required. 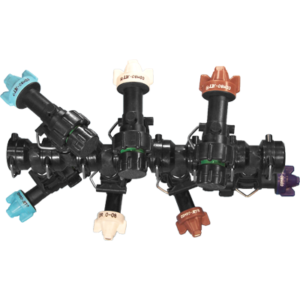 Boomless sprayer assemblies typically come stock in 3 tip to 7 tip manifolds. As all manifolds are modular, they can easily be expanded further.